Your Business Website Could Generate Hundreds of New Enquries! Having been in business as a website design company for over 10 years, we've worked with hundreds of clients to help them find the perfect business website design. About 5 years ago we developed the standard contact form for the Toolkit, and put it on our website to test it. The great thing about the built in contact form is that every time some one fills it in, all the data gets stored in your Toolkit account. So we thought we'd take a look at how many people have contacted our clients through the contact forms on their websites over the last 5 years. It turns out that over 100,000 people have used that little form to get in touch with our clients! That's a considerable boost in people making contact compared to just having your phone number and email on a website. Seems like people find using the contact form much more convenient than firing up their email or picking up the phone. What's even better is that in those 5 years, we've refined the contact form to make it as easy as possible for all our clients to use. It now can be added to any page on a Toolkit powered website, and the details from completed forms are also emailed to the email address of your choice. So if you're not using one of these forms on your Toolkit website, we want to say to you "Why Not?" Perhaps you too could be getting hundreds enquiries a year simply through your website! If you need any help adding a form to your website, please call our support team on 02380 633644, or drop us an email! Toolkit Websites in the Spotlight! Last week our office in the centre of Southampton was transformed into a makeshift film set when we were visited by a film crew from Graduate Jobs South! Our office was chosen to be in the spotlight for a Graduate Jobs South promotional video about the Internship Program that they offer to students and graduates all over the South Central region. Recently we have all been reading and watching the headlines about it being tougher than ever for graduates all over the UK to find employment, with there being an average of 69 applicants for each graduate position that is advertised. As a result of this extraordinary demand for graduate jobs, a lot of employers have upped their expectations when it comes to the skills and experience required in a graduate role, making it even harder for some graduates to get on the career ladder. One of the main difficulties for graduates is gaining skills and experience, as quite often this takes the form of unpaid work experience which many people simply can’t afford to take up as they leave university with ever increasing debts. Graduate Jobs South is one of many organisations trying to combat this worrying trend and help graduates kick start their careers by running an Internship Program to help graduates gain valuable industry based experience whilst providing a salary. This is something that Toolkit Websites has jumped at the chance of being involved with, and Graduate Jobs South selected us to showcase their Internship Program by interviewing our Managing Director Marcus and two members of our Support Team who came to join us through the internship. Barnaby, who has since become a permanent member of the team, and Matt, who is completing an industrial placement during his degree, both loved their moment in the spotlight and couldn’t have been more positive about the experience they have both gained. And the rest of the team also managed to get their dreams of stardom realised by participating in the video! You can find out more about Graduate Jobs South and their Internship Program by clicking here. Apple Unveil New iPhone 4! Last month we posted about the great benefits of choosing Business Class email over free mail services like Hotmail or Gmail. This month there's even more reason for us to get excited, as Apple have just released the iPhone 4 - the latest member of their Smart Phone family. 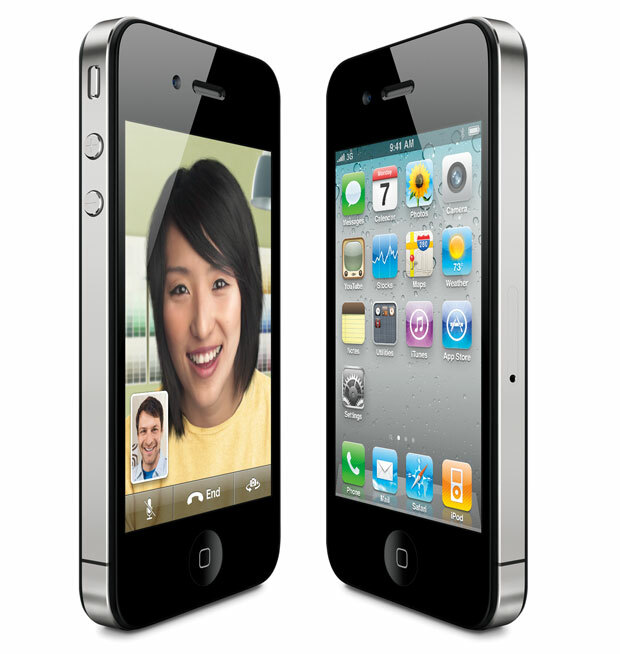 Since the introduction of the original iPhone in 2007, Apple has redefined the smartphone market and highlighted the benefits of having a device of such capability constantly by your side. This revamped model is sure to be at the top of every gadget junkie's wishlist, and sports a new stainless steel case, an improved display, two cameras and to top it all it will be 24% thinner than previous versions. But is it all good news? 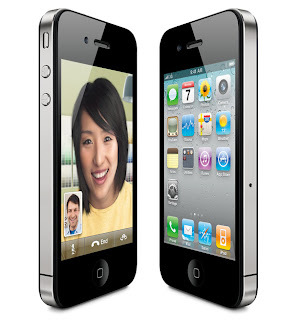 With the recent release of the iPhone 4, problems have been reported. These have focused on what many are calling an inherent fault with the aerial design, with reports from many users of dropped calls when the phone is held in a certain way. All this talk has led Apple to call a press conference to discuss the iPhone 4, with speculation of how Apple will address the problem being the main talking point. The company had initially suggested users having problems could use its “Bumper” accessory to remedy the issue, though this has been widely criticised as unacceptable, considering the design of the device is seen to be at fault. Media coverage of hardware problems aside, smartphones can be a great tool, particularly for small business owners. For example, here at Toolkit Websites , we offer IMAP email support, which will allow you to access your email from various smartphone models and will also sync with your mailbox so you don’t have read emails again when you get back to your computer. If you have a smartphone that doesn’t have IMAP support, then we also offer access via toolkitmobile.co.uk. With access to your email at all times and in any location, you are sure not to miss important communications from existing customers or potential new clients. High quality content is more important than design. Have you ever noticed that there are some really wordy, content heavy websites out there that seem to be really popular? Certain popular blogs spring to mind. There’s a good reason for that. If you provide very high quality relevant content, search engines will index it and website visitors will read it. You don’t actually need lots of interactive features and flash animations. You just need the text that your visitors are looking for. If you’re a restaurant, this is going to be copies of your menu, your location and your contact details, perhaps with some information on the provenance of your food. For us, its information on the services we provide for small to medium size businesses, how our content management system, the Toolkit, works for our clients and our contact details. To support the quality content you’re now going to add to your website, you’ll need a very clear and self explanatory website structure. We’ve found out from some online research (read it here) that website visitors read websites in an F shape, starting on the left and going down and to the right slightly. This is why there are certain conventions in web design. Menu bars go horizontally across the page at the top, as this is the first sweep of the eyes across a web page. Important links should go on the left of the page to hit this hot F pattern. As we’ve said, good content is self supporting. If you want to introduce other visual elements, ensure they relate to this content. Blinking animations and ads will detract from your content, not allowing visitors to focus on the important aspects. In the same way, if you’re linking to another page ensure the link text is precise, leading to the destination described. This will help focus your visitor on where you would like them to visit. You’ve probably got a goal in mind for your website. It’s probably as simple as getting people to get in touch with you. Whilst working on each element of your website, keep that goal in mind.